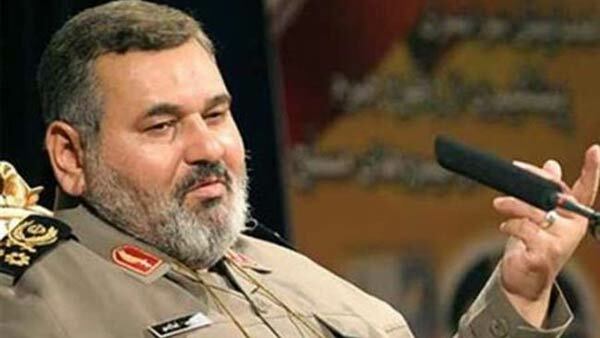 Iran's official IRNA news agency says the country's military chief has signaled his support for the Tehran's nuclear deal with world powers despite expressing concerns about it. IRNA says General Hassan Firouzabadi, a close ally of Iran's top leader Ayatollah Ali Khamenei, spoke about 16 advantages of the deal. His remarks are seen as a major endorsement that may push conservatives to join moderates in supporting the agreement despite growing opposition from hard-liners. He has not publicly approved or disapproved the deal. However, he repeatedly has offered words of support for his country's nuclear negotiators. A top Iranian military official has enumerated over a dozen positive points of the nuclear conclusion reached between Iran and the P5+1, and the related UN Security Council (UNSC) Resolution 2231, despite voicing concerns about possible "misinterpretations." In a Saturday statement, Chief of Staff of the Iranian Armed Forces Major General Hassan Firouzabadi listed 16 advantages of the Joint Comprehensive Plan of Action (JCPOA) agreed by Iran and the P5+1 - the United States, Britain, China, France, Russia and Germany - in the Austrian capital Vienna on July 14, and Resolution 2231 (2015) approved by the UNSC on July 20. Firouzabadi, however, said Iran's armed forces are profoundly concerned about the possible impacts of the JCPOA and the resolution on Iran's defense capabilities, and about the US officials' "misinterpretations" of the texts to impose non-nuclear-related sanctions on Iran. Referring to a positive point of the resolution, he said it asks all governments and regional and international bodies to "cooperate in facilitating the implementation of the JCPOA" and do not hinder its enforcement. The top commander also stressed that the JCPOA and the resolution have recognized Iran's right to enrich uranium, which was one of the sticking points between the Islamic Republic and its negotiating partners. Under the JCPOA, limits will be put on Iran's nuclear activities in exchange for, among other things, the removal of all economic and financial bans against the Islamic Republic.